For over two decades, the reputation and success of The Art Center of Chulalongkorn University as one of the leading contemporary art galleries in Thailand has been founded upon the contribution of many individuals and organizations, from the university’s Office of Academic Resources itself to artists and curators, other galleries and cultural organizations—both in Thailand and abroad, as well as visitors, the press and critics. Among these, artists play the most important role, because without whose works The Art Center would not have earned the recognition as it has from the contemporary art community. As The Art Center has planned to revamp its operations in 2017, the gallery is staging a special exhibition to thank all the artists for having contributed to the gallery’s past success. The exhibition features the largest number of artists and is presented in a salon style with the aim of giving equal recognition to all the artists. •to show that you have noticed somebody/something by smiling, waving, etc. 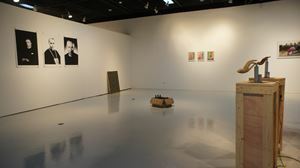 For this exhibition, each artist can either acknowledge the art community or other artists in various aspects, acknowledge The Art Center in terms of its physical space or in an abstract sense, acknowledge any turning point or milestone in their career or acknowledge anything that has to do with art or the art community. 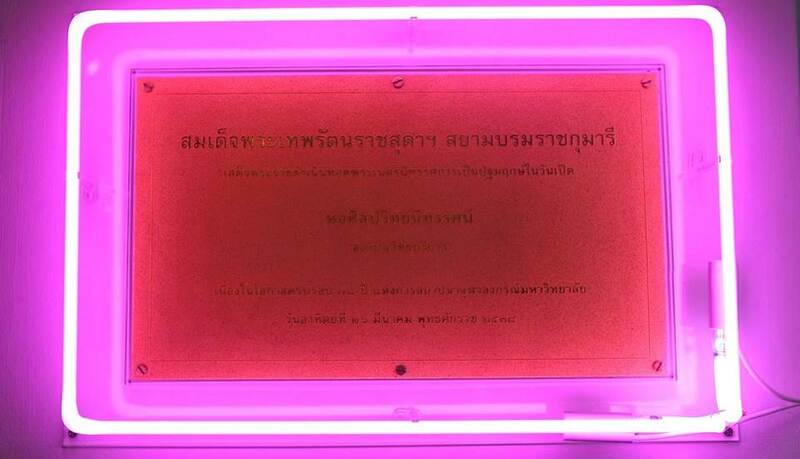 The Art Center hopes this exhibition will act as “Acknowledgments” that expresses deep appreciation for the artists who have exhibited at the gallery while at the same time creating a memorable show that says something meaningful about Thai contemporary art. Monday–Friday 9:00 a.m.–7:00 p.m., Saturday 9:00 a.m.–4:00 p.m.